Here comes the New Year and franchisors irrespective of the industry, plan new strategies for attaining growth and success of their franchise ventures. However successful a business is, but there is always a room for improvement. During the year there are lot of instances when franchisors want to introduce some major changes in their businesses. However, they do not adopt any change in the mid of the year for fear of failure, and New Year is the best time to revive old strategies and experiment new ideas whether related to finance, execution, expansion, marketing or promotion. Out of all it is always the financial issues that make up the most essential part of any business, whether franchised or self-owned. The article here discusses the financial strategy or resolutions that franchisors plan this New Year. One of the best ways of increasing franchise profitability is by innovating and making new plans for the betterment of the business. Financial strategy of any franchise business basically revolves around the new ventures the franchisor is planning, expansion plans whether nationally or internationally, support system, marketing or advertising campaigns and so on. In words of Maneesh Anand, Director, Slip Guard (Mithila Industries), “Financial year is different but the calendar year also requires certain resolutions to be made from franchisors. It is important to make resolutions in the New Year.” Similarly Pankaj Agrawal, Director, Academy of Applied Languages , Venture of GenNxt India said, “Whether we take the New Year as the calendar new year or the financial New Year, we constantly need to make and review our financial plans/ resolutions.” Below given are few of the promises that have to be made by the franchisor for achieving higher goals and profits. Marketing and promotional strategy: Each year the franchisors have to come up with innovative marketing and promotional strategies. These should be carefully made in the beginning of the year so that the various strategies can be employed for the benefit of the business. Launching new ventures: It is at the time of New Year that franchisors should plan to launch new ventures to add to the existing business. Moreover, they should keep their franchisees and their employees well informed of their plans so that they can also contribute their ideas etc. Setting personal monetary goals apart: Different entrepreneurs have different aspirations from their venture. An entrepreneur who has started his business only after retirement aims for rapid success but his idea of a successful franchise may vary from an entrepreneur who is just in his 30’s. The New Year is considered an appropriate time for setting your personal as well as professional priorities. Entrepreneurs should always keep in mind the personal monetary requirements and set aside an amount for it. Taking help from franchise experts is a good idea for franchisors and franchisees with too many personal responsibilities. Recruitment strategy: For making employees loyal to the company, it is essential to make them a part of the franchise by sharing aspirations and goals with them. Moreover the New Year is the time for changes in the pattern of working etc, therefore keeping your employees informed is always advisable. The franchisor or franchisee should be clear and allot certain roles and responsibilities to every employee. All this should be done in the beginning of the New Year. To conclude, it can be said that for a successful and a year full of growth, franchisors should strategise their financial issues at the very beginning of the year. 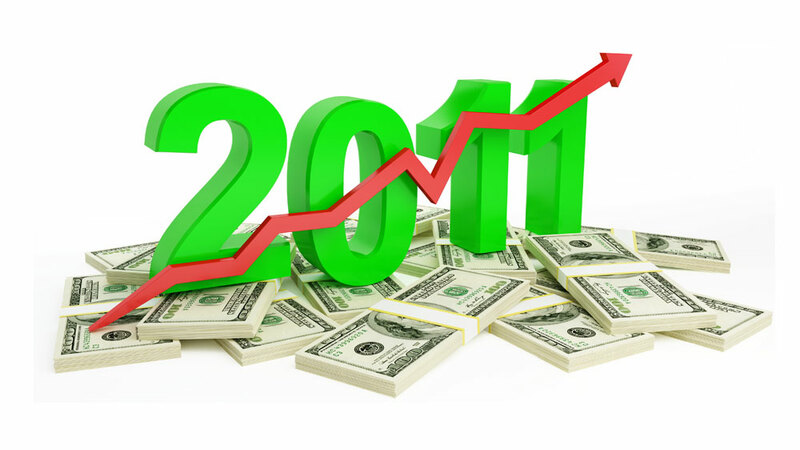 These financial resolutions with help the franchisors achieve long term goal. However, it is also true that all resolutions are a waste until they are executed properly and diligently. Agrawal said, “The most important thing about any goal is to make it work. Some dream of taking Rs 15 crore company to 200 crore in two years. It is not realistic. Making goals and resolutions which can be achieved is essential.” So all you franchisors, carefully execute your plan of action for the New Year to achieve financial gains. I am Intrested. Pls. give more details for working profile & investment. This seams to be any upcoming good opportunity and I am interested to know in detail about this. we would like to know more,see the products and see some examples of your products deployment in various fields. interesting business. send me details . can it be done without technical background ? Its a intresting oppertunity. I would like to know the product details and whether any technical knowledge required for the franchisee? This is really emerging business in India . This article shares only general information. At initial stage I am interested more in the way actually how this business going to work? I am interested in more details of this Business . Fantastic!!! Would like to know more in terms of innovative products that you make and details of how it will keep us survive in this upcoming market. I AM AN ELECTRICAL ENGINEER WITH MORE THAN 30 YEARS EXPERIENCE.MY ELDER SON IS M.TECH DEGREE FROM I.I.T. DELHI. AND YOUNGER SON IS SOFTWARE ENGINEER.WE HAVE GOOD CONTACTS IN INDUSTRIES AS WELL AS IN ACADEMICS LEVEL LIKE SCHOOL, COLLEGES AND TUTION CLASSES ETC.WE HAVE LIMITED FUND TO INVEST.SHOW US THE WAY SO MUTUALLY WE GROW TOGATHER. I am eager to know about robotics and want to take franchisee if available.Please provide me needful information. i am interested. Pls send me the details of this business franchise. it seems very interesting business, would like to know more details. i would love to have more information regarding your products warranty period? I would like to have more information regarding the products and the business opportunity & do you need to have technical background? I am a Business man operating an Export House and other business ventures. I am interested to know more about your Robotics business and also seek to be a franchisee in Kolkata. Please send me full details with terms. I am interested in this bizness idea, plz send me details. please send me the franceise availablity and addresses of the companies interested. i am already involve in automation business.so.I am Interested this business. Pls. give more details for working profile & investment. Hi, I am an Electronics engineer, 53 years, with 30+ years experience in industry. Robotics & micro-controller based systems are my passion and my hobby. I have hands on experience in AVR, 8051 etc. I want to take up robotics and associated systems as self employment. Possible schemes include teaching basics (electronics, mechanics,etc) & building & selling. Can i get in touch with someone who can guide me on this path? I have limited monetary resources, but 10% interest. Thanks. please send more detail about franchise and investment,we are very much interested to start this course in Chennai. My name is Yoganand K L N and I have done my B.Tech in MECHATRONICS batch (2008-2012). Can you please send me detail information about the business. I am interested in starting up a business in my field . Thanks in advance. With regards Yoganand.